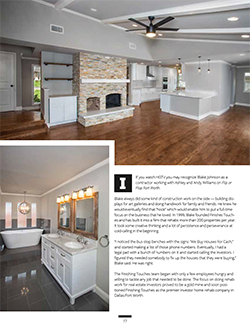 Finishing Touches Remodeling was recently featured in the February 2018 edition of Building Savvy magazine. Read the full article below. I noticed the bus stop benches with the signs: ‘We Buy Houses For Cash,” and started making a list of those phone numbers. Eventually, I had a legal pad with a bunch of numbers on it and started calling the investors. I figured they needed somebody to fix up the houses that they were buying,” Blake said. He was right. The Finishing Touches team began with only a few employees hungry and willing to tackle any job that needed to be done. 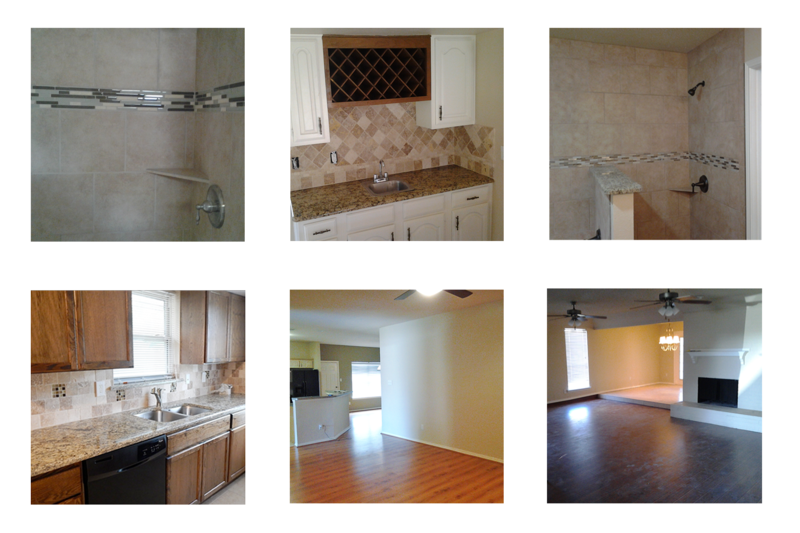 The focus on doing rehab work for real estate investors proved to be a gold mine and soon positioned Finishing Touches as the premier investor home rehab company in Dallas/Fort Worth. “Being on Flip or Flop Fort Worth was a great opportunity for us and couldn’t have happened without the support of my staff. Gregg Jordan and my wife Nicole basically put their lives on hold and helped me manage up to 120 people at a time, for 14 hours a day, six days a week to be sure the projects being featured for the show as well as our other projects going at the time all went smoothly,” Blake said. work. They also teach real estate investors how to get started. The company website offers tips on how to buy and start building a team (including lender, real estate agent, contractor, insurance agent). The site provides links to city websites where the unique laws and guidelines in regards to rental or investment properties can be found. They encourage investors to contact Finishing Touches as soon as an offer is accepted to get a plan and an estimate. Every project is set up on a cloud so that investors can see the progress being made via pictures, videos, message boards and a job calendar. Finishing Touches can coordinate directly with an investor’s property management agent on the final stages to make sure that the property is move-in ready upon the sale or lease of the property. Like Ashley and Andy, who knew they could count on Finishes Touches to rehab nine houses in four months for their HGTV series, many others know that Blake and his team will do what they say and do it right. 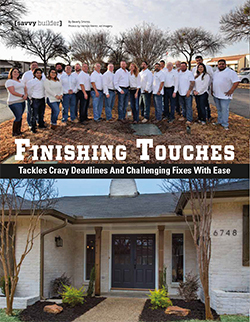 Crazy deadlines and challenging fixes are part of Finishing Touches’ everyday business.